Fan-filmed footage of the Guns N’ Roses-meets-Foo Fighters moment is streaming via YouTube. This isn’t the first time something like this has happened. Last year, during Guns N’ Roses’ concert in Tulsa, Oklahoma, Grohl joined GN’R to play the chart-topper “Paradise City.” Grohl also came to the rescue for Guns N’ Roses by lending Rose his throne of guitars after Rose broke a bone in his foot right before the 2016 Guns N’ Roses reunion tour. That said, these guys are tight. 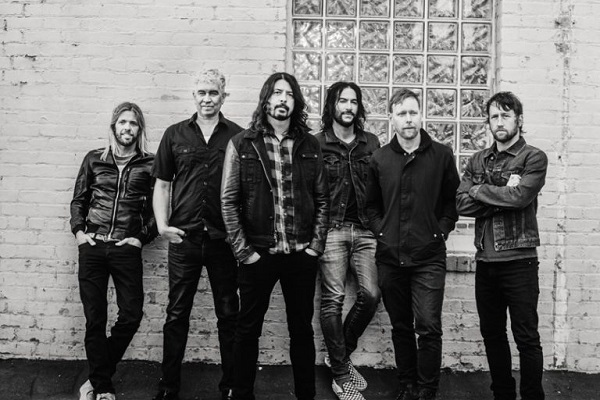 In other news, Foo Fighters recently announced a handful of new North American tour dates. Their tour is currently scheduled through an Oct. 18 gig in St. Paul, Minnesota. Find the band’s tour roster at FooFighters.com. Meanwhile, Guns N’ Roses has a slew of overseas tour dates booked through the end of November. Find their tour roster at GunsNRoses.com.